an architecture: Color. Color Space City. 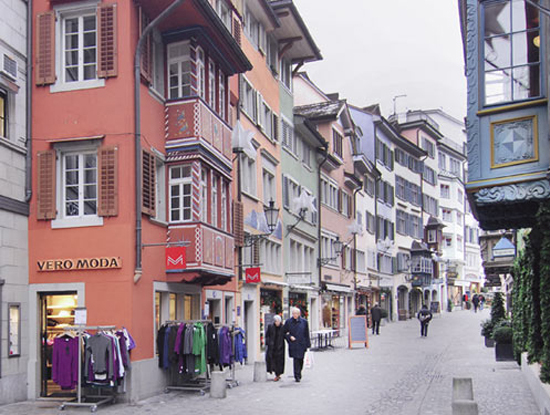 The Swiss “Haus der Farbe” developed in 2005 the color atlas “Farbraum Stadt” of Zurich (color-space-city), a research project supported by the Minister of Regional Planning. 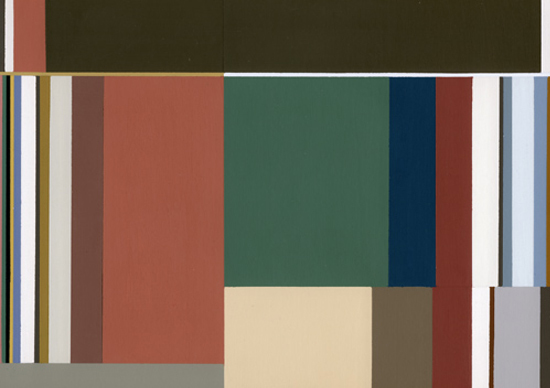 It is a comprehensive compendium and analysis of urban color spaces of Zurich. The work consists of a maps with 96 color portraits, the book and the epoch color-guide (Epochenfächer). 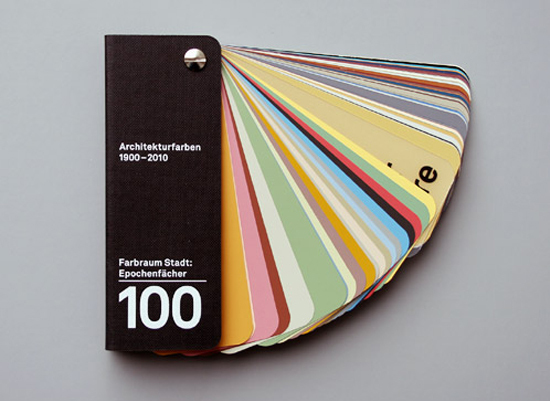 The box guides the read through the color history of Zurich from 1900 to 2010 - it is the color portrait of Zurich. shouldn't ever city have a color-guide?